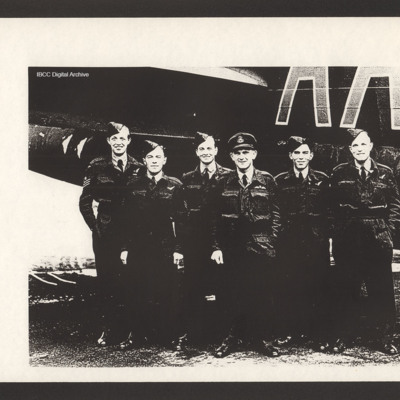 Six airmen standing at the rear of a Lancaster coded 'AA'. 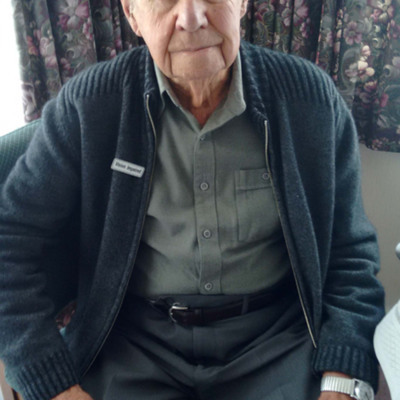 Eddie Worsdale was a wireless operator/ air gunner and flew operations with 75 Squadron. Jack Meehan grew up in New Zealand and worked on the railway before he volunteered for the Royal Air Force. 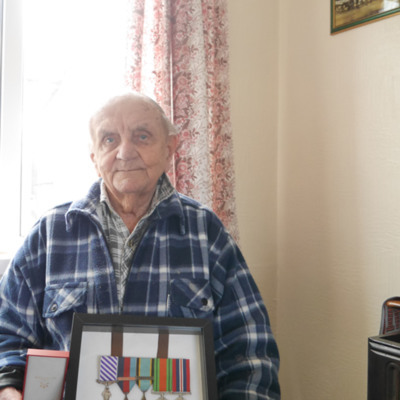 He flew operations as a wireless operator / air gunner with 75 Squadron at RAF Mepal. 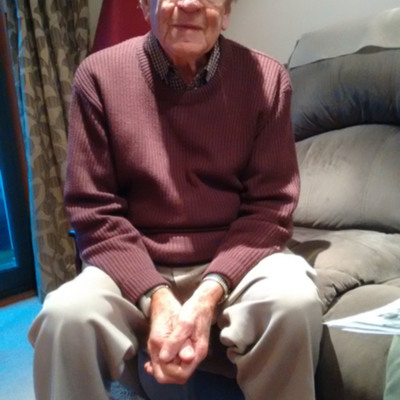 Allan Joseph Couper grew up in Australia and volunteered for the Royal Australian Air Force. 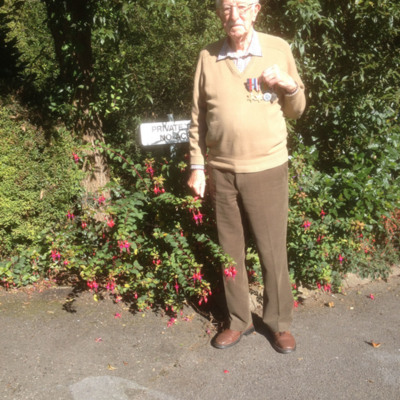 He flew operations as a bomb aimer with 75 Squadron from RAF Mepal.